Sports betting is as old as sports itself. 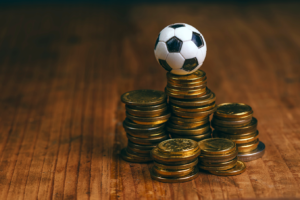 All over the world there are millions of betting agencies that provide betting options on all sports for the people, so many that you wonder how they are able to get clients, but in the world of betting clients will never run short, money has a way of attracting everyone towards it and betting provides an opportunity that many find hard to resists. But no sport in the world has made betting a global frenzy more than football. This is basically a betting option where you place a bet either on a team winning or the match ending in a draw after 90 minutes. It has 3 outcomes: A home win, A draw or an Away win. It has 2 possible outcomes, OVER which means more than 3 goals have to be scored and UNDER, less than 3 goals. This is banked on the possibility that both teams score at least a goal each for this to qualify as a settled bet. The number of subsequent goals does not affect the outcome. Allows one to cover 2 of the 3 possible outcomes with one bet. Either a home win and a draw, a draw and an away win or a home win and an away win. If each set of outcomes turns out as expected the bet is settled. The accurate prediction of the exact scores in a match at the end of the 90 minutes.